Performance Edge joins "Relay for Life"
Performance Edge Chiropractic and Dr. Pietro Baio are happy to announce our sponsorship of “Relay for Life”. Over the past few months Dr. Baio has been in close talks with Joseph Gillette, Relay for life C0-Chair, regional organizer and advisory commissioner for the metro area. Joseph has managed to take a concept which focused on cancer survivors and families of those who have succumb to cancer into something more. Over the past few years he has added cancer prevention to his program. Starting with the famed “Zumba for Life” fundraiser which brings in 400+ participants for a fun filled class. 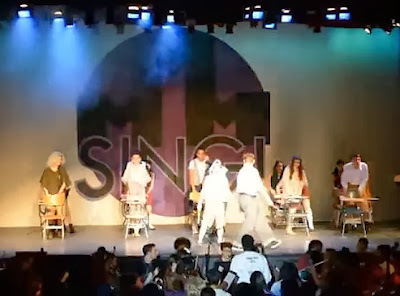 Most recently, Joseph added “Brooklyn Sing” to the fundraising events, bringing together some of Brooklyn’s Best public school drama clubs for a fun filled weekend of entertainment and a huge pizza party for the supporting cast. Joe is now working to get into local schools with Zumba and other fitness classes as well as nutrition and life style classes to educate our youth on cancer as well as health and fitness to help decrease cancer risk. This effort is part of the reason Dr. Baio jumped on board.